These two wonderful people called me the week before their wedding. They needed a wedding photographer - that Saturday. I am so very glad they found me and that I was able to quickly fill in, because you'll see - this wedding was GORGEOUS! 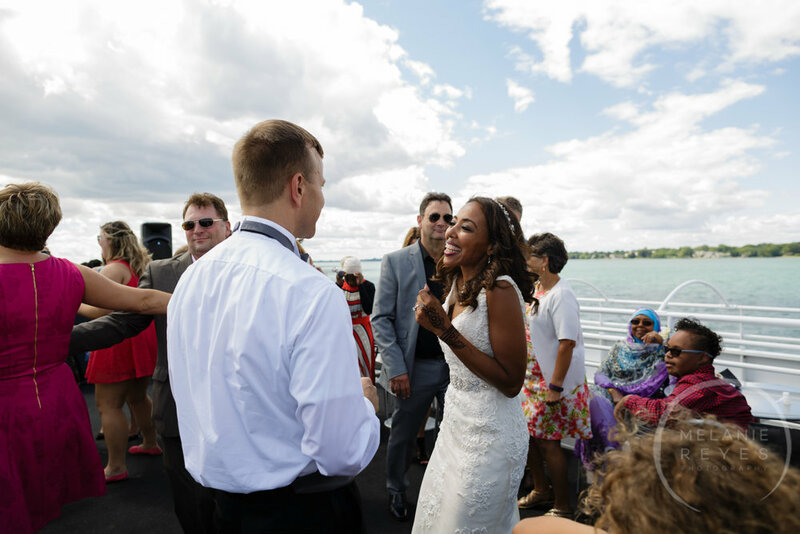 These two gathered a small group of loved ones and friends and had a wonderful afternoon on the yacht celebrating their marriage. It was elegant and such an enjoyable time for all. Infinity-Ovation Yacht Charters does such a great job of service, food, keeping things on schedule, and making the ride a great time for all. We had the most gorgeous sunny summer day which lent itself to rooftop dancing (so fantastic!) after a beautiful luncheon downstairs. Thanks N+J for having me document your wedding. I couldn't stop smiling and still LOVE looking through these images that show how in love you are with one another.